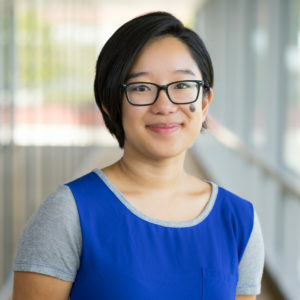 The Rose Institute congratulates student researcher Melia Wong ’19 on her selection as a 2019-2020 Luce Scholar. The Luce Scholars Program was launched by the Henry Luce Foundation in 1974 to help future American leaders gain a better understanding of Asia. Each year, the program selects a small group of scholars and provides them stipends, language training, and individualized professional placement in Asia for one year. The program is highly selective. The Luce Foundation invites 70 of the nation’s top colleges and universities to nominate seniors or recent graduates. This year these institutions submitted 162 candidates. The intense three-month selection process eventually produced the 2019-2020 class of 18 Luce Scholars. This group will gather in New York this summer for orientation then begin their placements in locations across Asia. At present, Melia hopes to use her Luce Scholarship year to work in East Asia at an organization such as a symphony or music education group where she can focus on the intersection of music, politics, and accessibility. Melia has worked at the Rose Institute for the past three years, rising to the position of Communications Manager. In addition, she has served as Resident Assistant of Phillips Hall, cofounded the Claremont Government Society, and tutored music theory for local children with the nonprofit Uncommon Good. She will graduate in May with a degree in Music and Government and eventually plans to pursue a Ph.D. in musicology or ethnomusicology. Congratulations and best wishes to Melia!